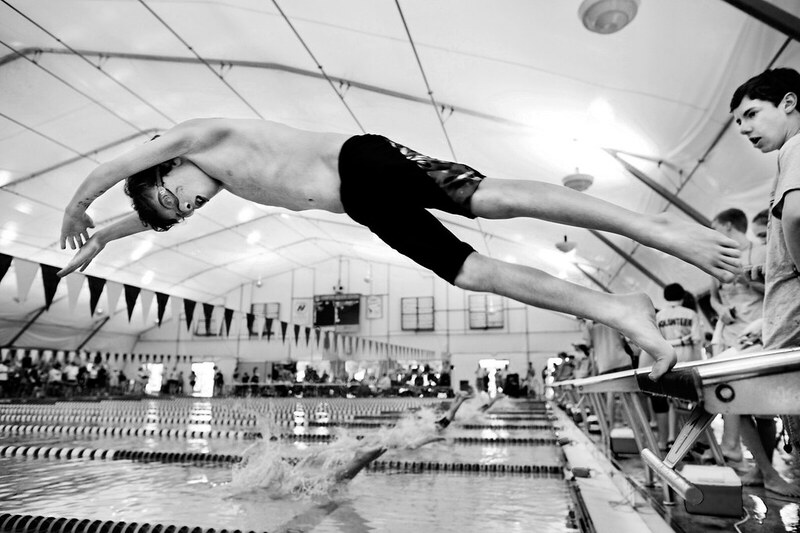 Jack Zanone dives into his lane during a freestyle swimming heat at the 2011 Memphis Summer Swim League Championship in which 23 swim teams from across the city and county met at St. George’s Independent School for the end of summer swimming season. About 590 children competed with ages ranging from 4-18 years old. The championship was hosted by the Memphis Thunder Aquatic Club. his face, and the captured splashes/feet in the background are just awesome. i love this shot.